THE GREAT RECESSION CHANGED EVERYTHING! We provide liquidity to home owners and down payment assistance to buyers during the tightest credit environment in recent history, without additional debt burden. At ReachOption we have dedicated ourselves to building a new and innovative product with a positive social impact. The recession has impacted everyone, we aim to improve conditions for all people whose lives we touch – homeowners, home buyers, builders, real estate agents, mortgage brokers and even banks. We recognize that we will not change the economy with one product but we want to do our share and feel proud of our social impact. This is a win-win solution for all. 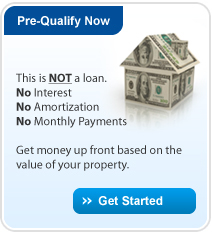 Homeowners: Our mission is to provide an alternative funding vehicle to homeowners. We are pioneers in a new way of thinking about home ownership. We act as partners and treat our clients with courtesy and integrity. Investors: Our mission is to provide an alternative investment vehicle with high long-term returns, relatively lower risk and high investment efficiency to our investors. We guarantee uncompromising ethics, utmost integrity, total transparency and a commitment to results. Partners: Our mission for our Partners, Providers, Developers and Building Sponsors, is to provide a new innovative way to help your clients and open up new business opportunities. Our approach instills confidence and trust with shared objectives.